Product #30503 | SKU GH1P | 0.0 (no ratings yet) Thanks for your rating! Ideal for long, heavy lenses, the GH1P Aluminium Gimbal Head from Benro can hold up to , stands 19.2 cm high, and weighs 700g. 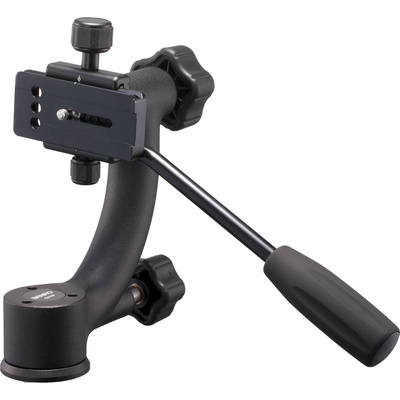 An Arca-type compatible clamp allows for quick attachment and release of your camera and lens, and a PL100 quick-release plate is included.